After a year-long trial by 78 officers, the SPVM has concluded body cameras have little impact on interventions, present logistical challenges, leave most officers feeling as if they're being watched and would cost the police service millions of dollars. After a year-long trial by 78 officers, the SPVM has concluded body cameras have little impact on interventions, present logistical challenges — and leave most officers who have to wear them feeling as if they're under surveillance. Not only do police dislike wearing cameras, outfitting all 3,000 patrol officers with them would cost $17.4 million over five years, according to a 215-page report to be presented to Montreal's public safety committee Friday. "The project did not unequivocally demonstrate that portable cameras promote the transparency of police interventions, strengthen trust between the police and the citizen and ensure the safety of police," says the report, which is already up on the SPVM's website. The SPVM launched the pilot project in the spring of 2016, sending camera-equipped officers onto the Metro system and into some boroughs, including Plateau–Mont-Royal, Lachine and Montreal North. Officers assigned to road safety also participated in the project. The report concludes the cameras have little impact during the course of interventions. Two out of three officers reported that the cameras made citizens feel uncomfortable, creating a more distant, impersonal interaction. Police also say having to manually activate the camera in an emergency or in a dangerous or unpredictable situation presents a logistical challenge. The report finds that nine out of ten officers who wore the cameras felt they were under surveillance. "Some people see the implementation of this tool as an intrusion, a lack of trust in them and an invasion of their privacy at work," the report concludes. "Many fear the video recordings could be used against them." The $17.4-million price tag cited by the report includes the cost of the cameras for all officers, as well as training costs, modifications to uniforms and the cost of managing the project. Further to that, the report concludes, deploying the cameras would create additional labour costs that would hover around $20 million a year, to hire 200 additional officers because of the time it takes to process all the information collected on video. Officers spend more time reviewing camera footage and adding information from it to their reports, the SPVM said — and that's time that could be spent on patrol. 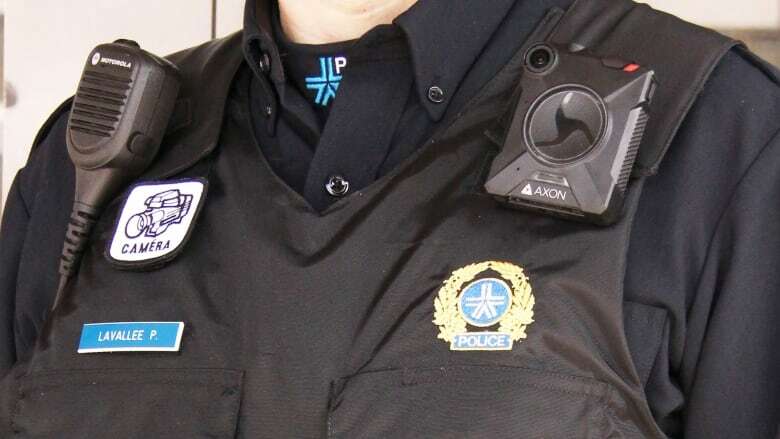 Additional technological costs such as the replacement and storage of cameras, the report says, would bring the annual cost to $24 million, should all officers be compelled to wear the cameras. The year-long pilot project cost $1.5 million. It was launched in 2016, after Coroner Paul Dionne recommended the use of body cameras in his report on the death of Robert Hénault — a 70-year-old man who was shot dead during a police intervention in 2013. Montreal Mayor Valérie Plante's administration declined to comment on the report, opting to wait until after it is presented to the public safety committee Friday. However, Ensemble Montréal Leader Coun. Lionel Perez was quick to voice his party's thoughts on the issue — saying body cameras are worth the investment. "It's clear that there is an investment, but there is also a cost to do nothing," he said. "There is a societal cost to doing nothing. There are issues of racial profiling, transparency — and public confidence is priceless." Police officers' reluctance to wear a camera at all times, he said, "shows that their actions are different when there is a camera."